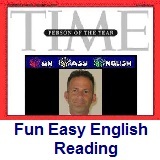 ﻿ Fun Easy English - reading practice and learning about the holiday Day of the Dead All Saints Day. Day of the Dead (Spanish: Día de Muertos) is a Mexican holiday celebrated throughout Mexico and around the world in other cultures. The holiday focuses on gatherings of family and friends to pray for and remember friends and family members who have died. It is particularly celebrated in Mexico, where the day is a bank holiday. The celebration takes place on October 31, November 1 and November 2, in connection with the Christian triduum of Hallowmas: All Hallows' Eve, All Saints' Day and All Souls' Day. Traditions connected with the holiday include building private altars called ofrendas honoring the deceased using sugar skulls, marigolds, and the favorite foods and beverages of the departed and visiting graves with these as gifts. They also leave possessions of the deceased. Scholars trace the origins of the modern Mexican holiday to indigenous observances dating back hundreds of years and to an Aztec festival dedicated to the goddess Mictecacihuatl. The holiday has spread throughout the world: In Brazil Dia de Finados is a public holiday that many Brazilians celebrate by visiting cemeteries and churches. In Spain there are festivals and parades, and, at the end of the day, people gather at cemeteries and pray for their dead loved ones. Similar observances occur elsewhere in Europe, and similarly themed celebrations appear in many Asian and African cultures. The Day of the Dead celebrations in Mexico can be traced back to a pre-Columbian past. Rituals celebrating the deaths of ancestors had been observed by these civilizations perhaps for as long as 2,500–3,000 years. In the pre-Hispanic era skulls were commonly kept as trophies and displayed during the rituals to symbolize death and rebirth. This holiday is celebrated primarily in Mexico. After spending many years growing up in New York, I moved to San Diego, California which is located in the southwestern United States. San Diego is on the border of Mexico and has a very large Mexican population. You can see evidence of this holiday being celebrated throughout the city. 1. What does the Day of the Dead holiday focus on? 2. Day of the Dead is which of the following? 3. Which of the following is NOT connected to the Day of the Dead holiday? 4. The deceased are honored with which of the following? 5. Scholars trace the origins of the modern Mexican holiday to which of the following?